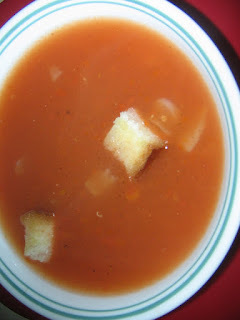 Tomato soups,is one of the tastier and easyly prepared among the soups.It can be given in the evenings,as these are rainy days even children like them to have them in the eve or before dinner..
Pressure cook chopped tomatoes,carrot,salt, water,for 3 to 4 whistles.Let it cool.Blend them into a smooth paste,if u donot want it to be thick then strain it,and boil for 10 min .Add sugar,salt,pepper powder,and boil in low flame for another 5 min.Switch off the stove.Meanwhile,fry bread pieces(bread slices are torn into bread pieces) in the oil till brown.Serve hot soup in to the bowl,and garnish with fried bread pieces.. This soup is my family favorite..looks yummy yum!! 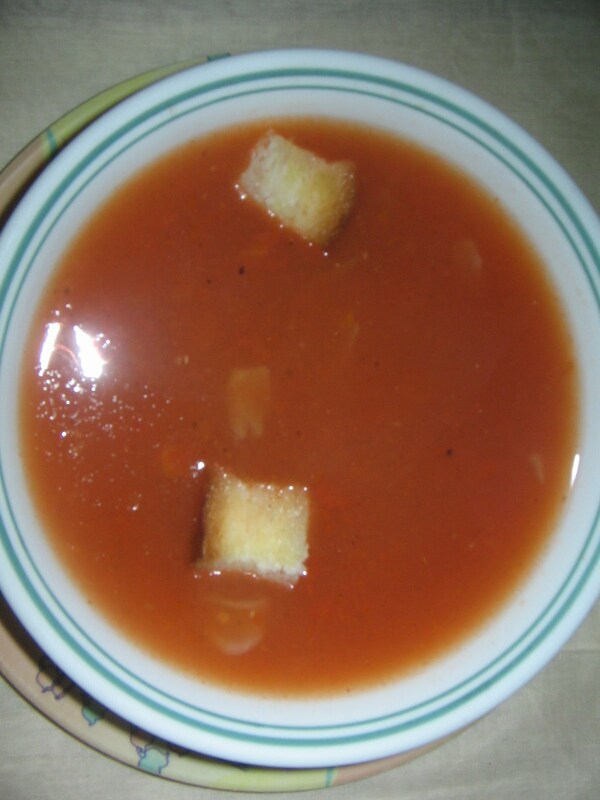 Beautiful bowl of comforting soup..yumm..